Antoni Soler: "We are heirs of a culture where the use of violence has been justified"
Home » Interviews » Antoni Soler: "We are heirs of a culture where the use of violence has been justified"
Interview with the president of FundiPau to discuss the concept of world peace and how to resolve non-violent conflicts. 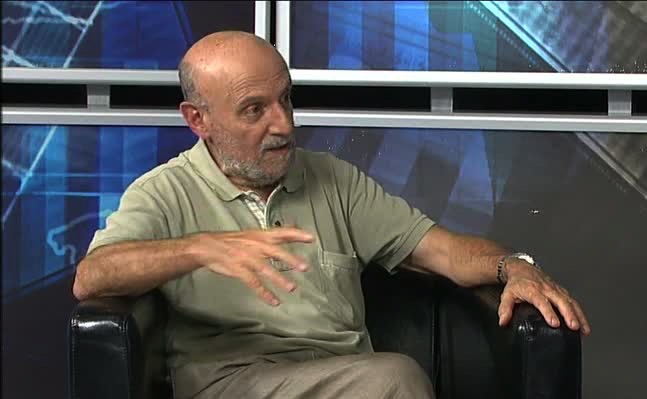 Antoni Soler has been militating since the 1970s in pacifist and non-violent groups. He is currently the president of FundiPau, an entity born in 1983 to build a world without violence and peace. He has participated in numerous conferences and courses on peace, conflicts, education for peace ... He is co-author of 'Education for peace. Geography of conflicts' and author of 'This is Culture of peace'. Peace is the result of many conditions that must be given previously. The result is to achieve a situation through which people can fully develop all their rights and freedoms without suffering punishment or violence. There is a concept of peace that has negative connotations. It is the definition that says that peace is the absence of violence. We have to take into account that there are two types of violence: the direct and explicit (daggers, bombs, wars ...) and the other type is less explicit and more structural tan the other one, for example, everything that has to do with the lack of conditions to have a decent life. Thus, peace radically understood is the absence of both violences and is a complex task. Is there more peace in the world than wars or the other way around? There is that saying that makes more noise a tree that falls than a forest that grows. There are many falling trees, lots of noise, suffering and many unbearable things. But in the midst of these situations, we also find seeds of humanity that are growing. Possibly we can say that in the world there is more goodness than badness, more construction than destruction but the latter is noisier and that makes the rest of positive actions to be covered. That not mean that we have to be satisfied. We have an intolerable world. We can not forget that there are victims of an abusive system and immense suffering to an important part of the world's population. Are we educated for peace? I do not think so. We are heirs of a culture and tradition where the use of violence has been justified. If we look at the history of the humanity we will see that violence has not only been justified but also praised, sung, magnified in epic poems ... In our origin, violence is part of this system where we all move and live. It is a residue of animal origin. As we humanize ourselves, we should be able to rationally face any conflict. Therefore, we have two tasks to do in matters of peace: a more structural (foresight, prevention, care) and the other job is to make a cultural change (going forward and replacing violence with the culture of peace). Analyzing this year 2018, what major war conflicts have been resolved through peace processes? What would you highlight and why? The resolution of conflicts are very long processes and with long-term results. The most visible is the case of Colombia. Agreements are being reached after many years of wars with all the fragilities and mistrust that any peace process entails. This makes it complicated but there is a hope. The case of Colombia is the most visible but underground is working on other strata. In all Latin American and Central American countries, for example, there have been peace processes and also in Africa. Delicate and bottom-up work is being done to weave synergies of peace with all the complexities that exist. The armies make war. Then, I understand that in order to achieve peace there should be a model of defense without military? I think that from all the real threats that a 21st-century society like ours has, there is no one that can be blackouted with an army. Traditionally, the military apparatus served to defend itself from foreign armies or possible invasions. Today threats go in the economic, computer science, terrorism ... These have a more police and military approach. How should this model be? A cohesive society, where citizens could live with all rights guaranteed, would be less conflicting and would need less armed security to control it. Unfortunately, we are used to seeing huge amounts of military spending that are not deposited for other needs. World military spending is 1, 7 billion dollars. This figure is a real joke. With a much smaller percentage we would eradicate hunger in the world. I only speak 4% or 5%. And what dou you think about refugee crisis? The issue of the host generates scandal for people with a minimum of sensitivity. It is inhuman that people fleeing from nowhere are mistreated in this way. Beyond this point, we must reflect on the causes: nobody flees from home without any desire. The causes that cause millions of people to flee are always wars or dictatorships, fed with weapons. If we do not look at these causes by placing barriers and walls or just welcoming we will not solve the problem. The refugee crisis is not a humanitarian tragedy such as a hurricane or an earthquake ... It is a crime and this crime adds a second crime: the people who escape are not welcomed and we build walls for these people to die or drown. We hope that, once the seminar is over, all participants will be able to use new frameworks of skills and prepare new volunteering activities and programmes to promote peace and human rights, to fight against discrimination and build non-violent narratives that we see in society.